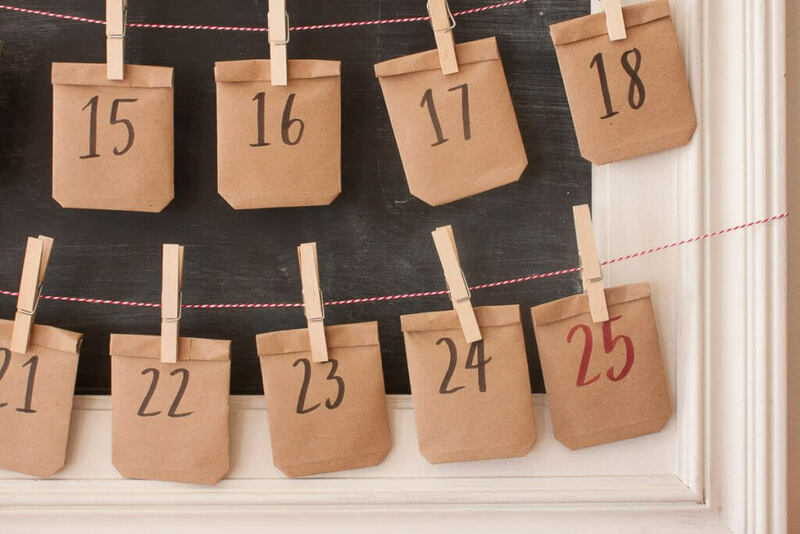 As a family, we have always loved doing an advent calendar all through the month of December. A few years ago I made a really easy one using an old antique ladder, and this year I wanted to make something different. I wanted to include the kids. 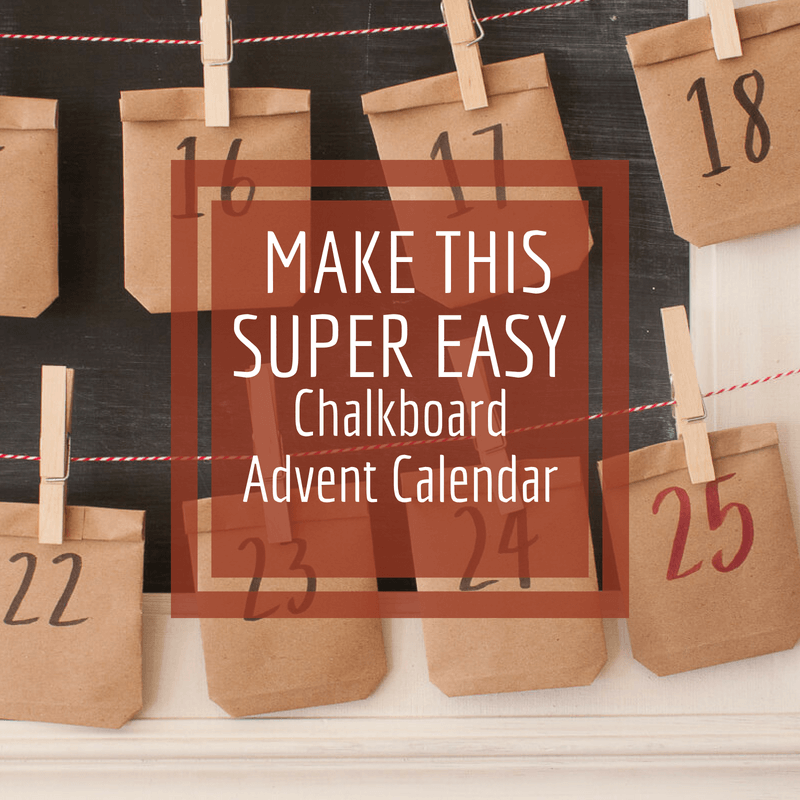 I wanted to come up with easy advent calendar ideas for kids, and this chalkboard Christmas calendar fit the bill! 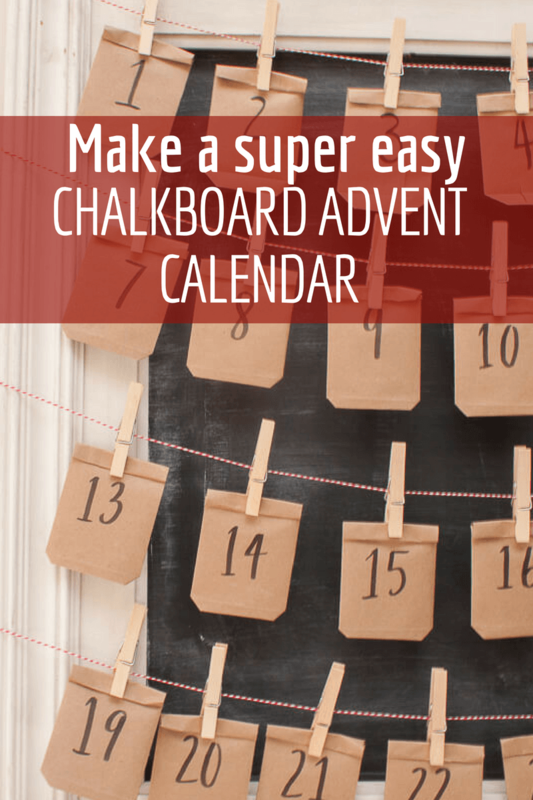 I have plenty of chalkboards laying around and I thought using one as a base would perfect addition to my advent calendar ideas for kids. 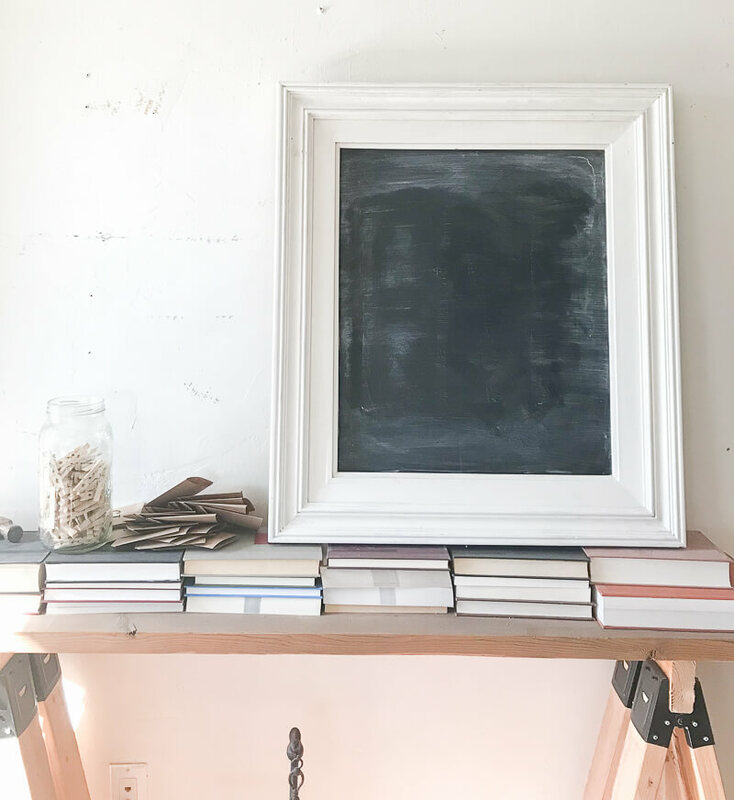 Don’t worry, if you don’t have a chalkboard you could use an old picture frame as well. 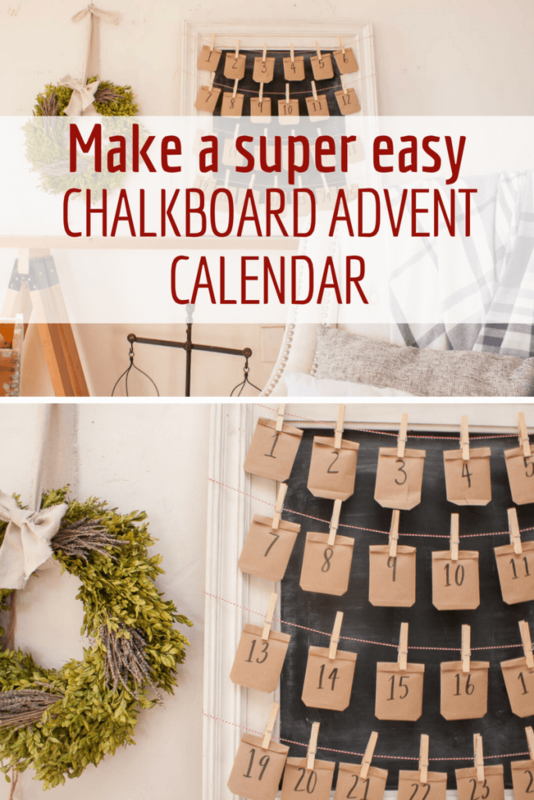 This easy chalkboard advent calendar was quite easy to make and I love the way it turned out! 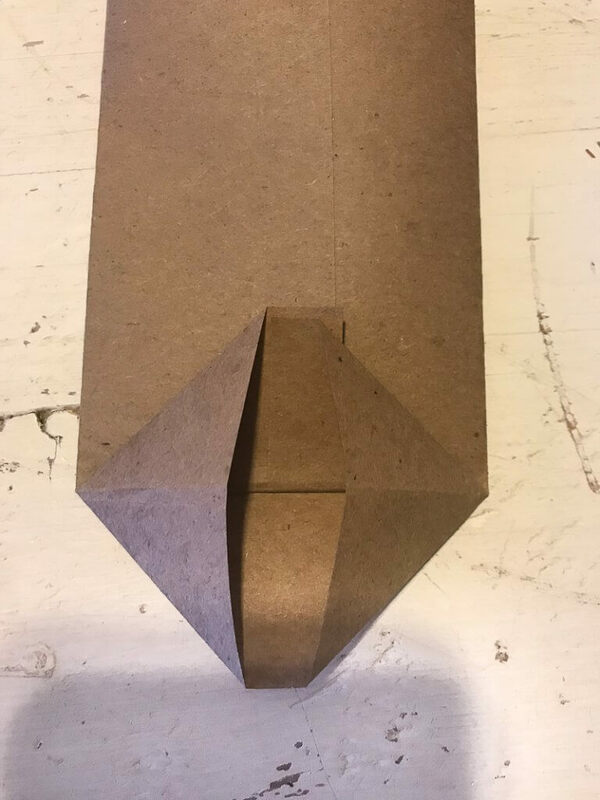 small paper bags or envelopes to use for Advent Calendar. 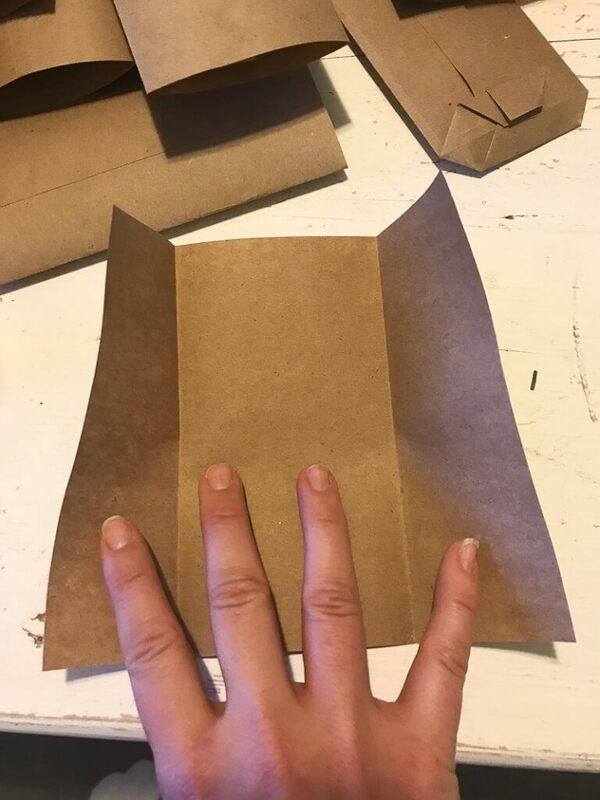 I used butcher paper and made my own little bags. 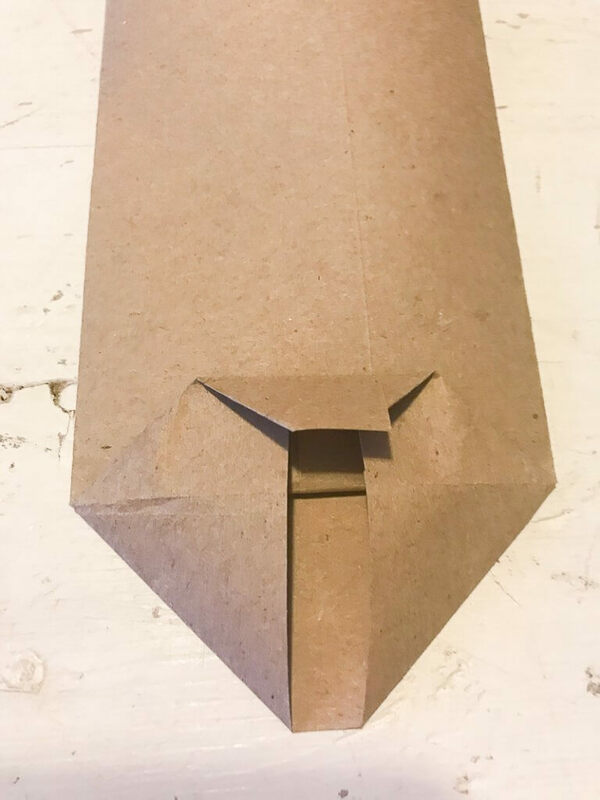 Now, if you want to make your own paper bags, they are super easy to make. 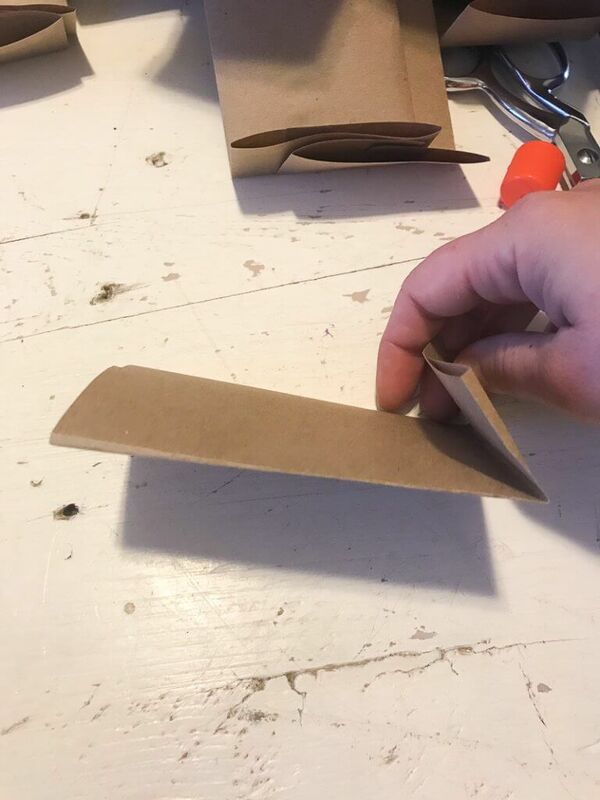 Start by cutting your squares to make the paper bags. You fold them in thirds, with the top piece overlapping about a half of an inch. You can use glue or tape to secure this now. Next, fold about 1 1/2 inches of the bag up. Now you will open it up and fold the sides together, making a diamond shape. Now fold the ends on the top and bottom pieces in toward the center, and they should overlap as well. 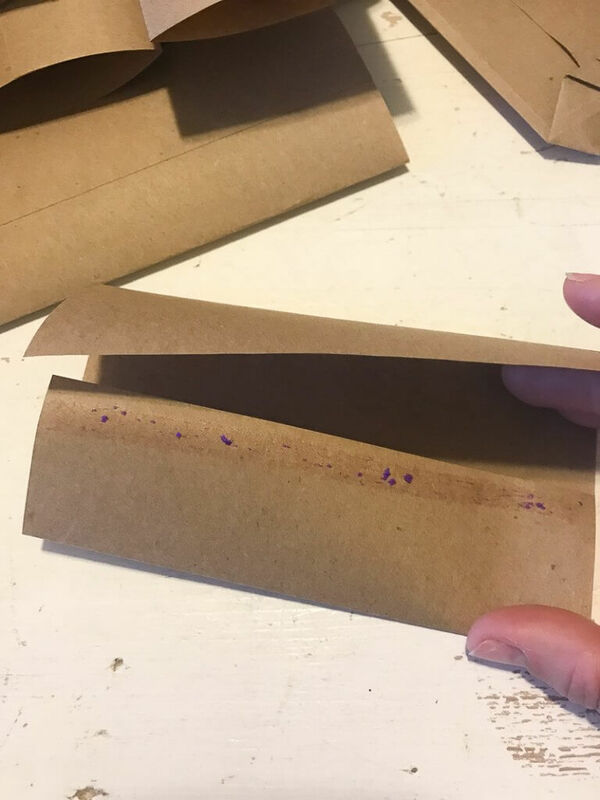 You can use glue or tape to secure this as well. I used a glue stick, but double sided tape works wonders as well! Now you have your own little bag! Once mine were all made, I numbered them. You can use stencils if you want them to be perfect, but I just simply wrote them on with a magic marker. 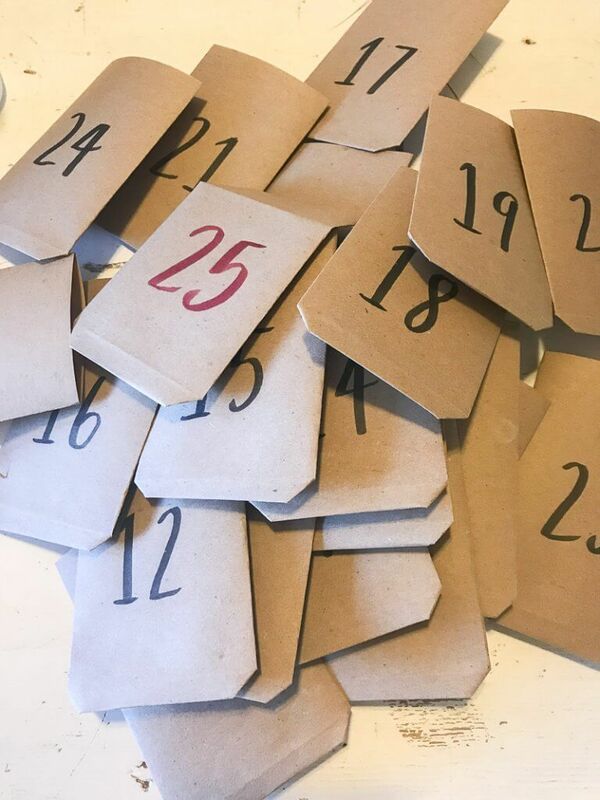 Now its time to assemble the advent calendar. 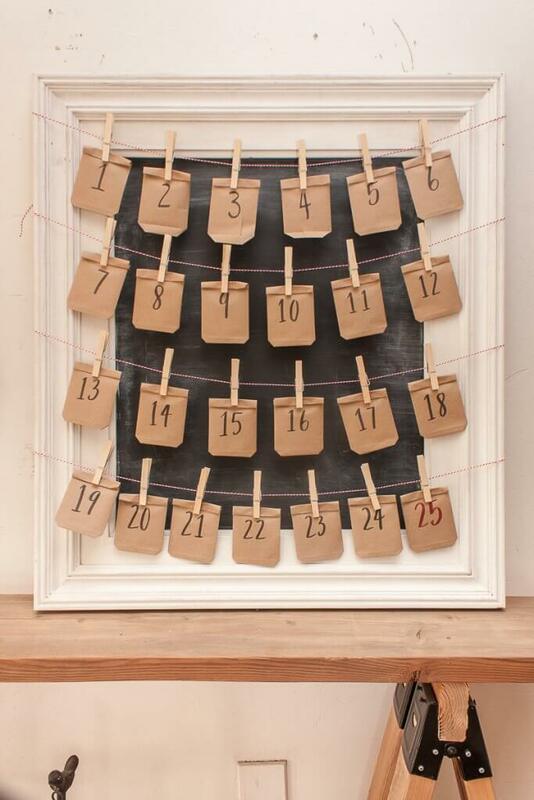 I ran 4 pieces of festive Christmas twine across the chalkboard, making sure they were evenly spaced. I used duct tape to secure them to the back. With 4 rows, that means that each one needs 6 bags, and the last row will have 7. I made sure to use a red sharpie marker to draw my number 25! I used clothespins to secure the little bags to the twine. 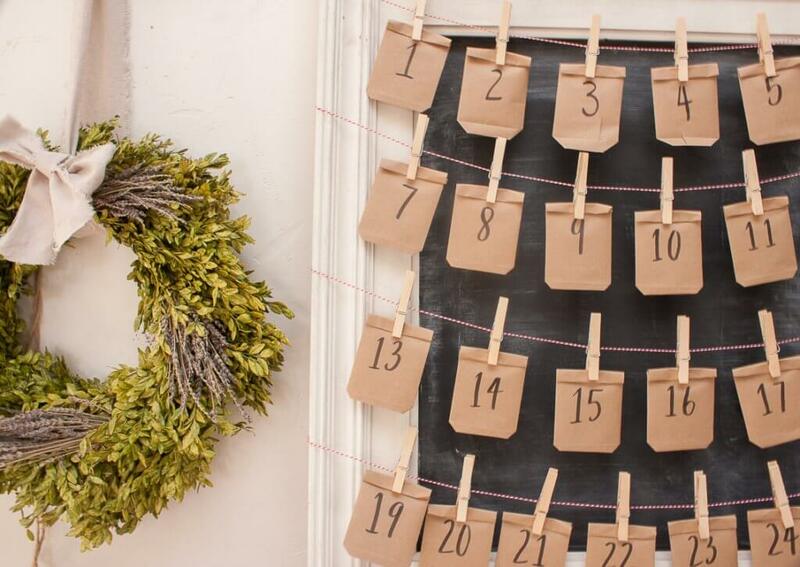 I really love this easy chalkboard advent calendar and I cannot wait to use it this December! 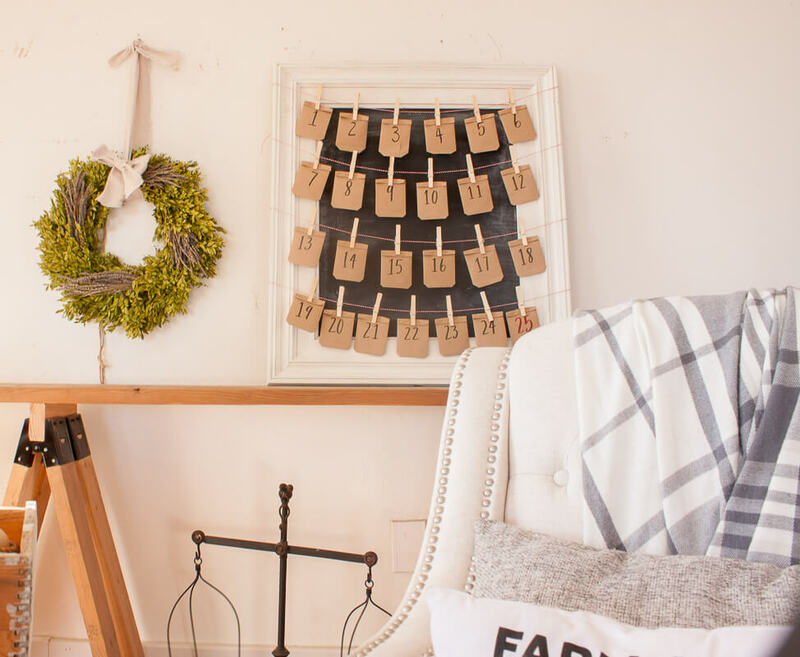 I love creating a cozy and memorable Christmas for my family. 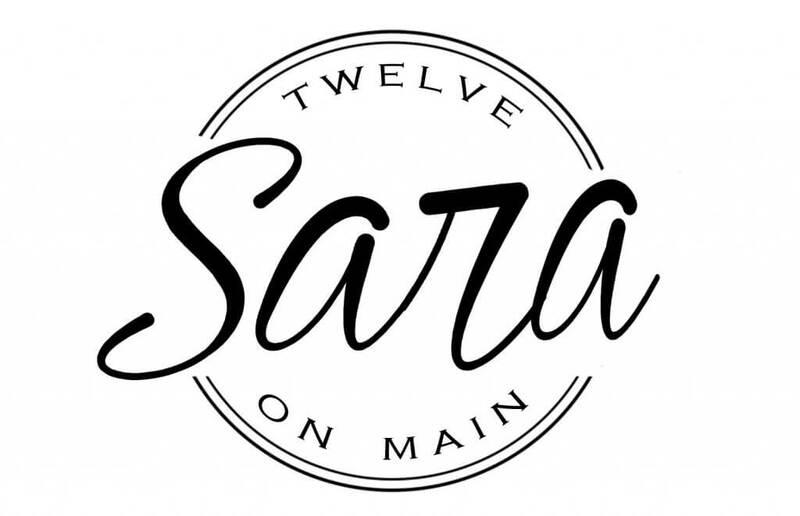 I put my heart into everything I do around our home. If you want to see more of my Christmas DIY projects check out my super easy dropcloth stockings as well as my DIY vintage wooden sled! Both are perfect ways to add holiday decor to your home. Thanks so much for letting me spend some time with you today. Have a great day!